Kamran Akmal, Umar Akmal and Adnan Akmal are three brothers and all of them are also cricketers who have played International Cricket for Pakistan. 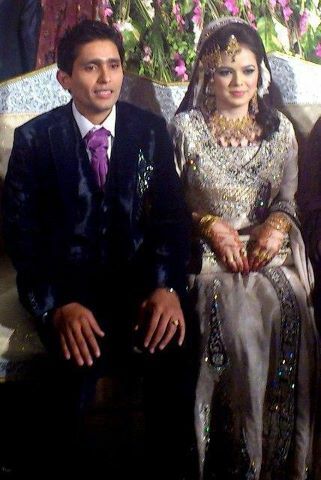 Recently Youngest of them Adnan Akmal got married. Following is a photo of his marriage. Adnan Akmal is a wicket keeper Batsman who has played several matches for Pakistan.